As a good Northern Indiana car accident attorney can explain, $9 million might seem a substantial verdict, but it starts to make more sense when we delve into the details of the case. In general, motorcycle accident cases tend to result in higher damages awards because motorcyclists are more prone to serious injury compared to passenger vehicle occupants. Motorcyclists don’t have the benefit of seat belts or airbags or a mass of solid steel surrounding them. The plaintiff in this case was one who suffered nearly catastrophic injuries as a result of the collision. He was reportedly riding his motorcycle on a two-lane road in suburban Indiana when the defendant pickup truck driver exited a parking lot and then stopped in the plaintiff’s lane of travel. The plaintiff crashed into the driver’s side of the defendant’s pickup truck. He was severely injured and suffered internal bleeding. He had to be airlifted from the scene. When all was said and done, he underwent 13 surgeries due to the crash, one involving the removal of half his colon and the reconstruction of his abdominal wall. A month after the crash, the plaintiff filed an Indiana personal injury lawsuit for damages against the defendant, whom the plaintiff accused of negligence, recklessness, and willful and wanton action. In a related criminal action, the defendant later pleaded guilty to driving while intoxicated. He admitted in the civil case that he was partially responsible, but he alleged the plaintiff shared some of the blame too. IC 34-51-2-5 allows plaintiffs to recover damages even if they are found to have shared the fault, as long as the plaintiff’s contributory fault is less than the fault of all persons whose fault contributed to their damages. The case went to trial, and the jurors deemed the defendant 100 percent at fault and awarded the plaintiff damages. The defendant did not file any motion with the trial court challenging the damages amount as excessive, which meant he could not challenge the amount on appeal. Instead, the defendant argued against the fairness of a particular jury instruction, alleging it was confusing, improperly categorized, and referenced numerous different proof burdens. He argued he was prejudiced because jurors would have understood based on the instruction that it was required some damages would have to be awarded. The plaintiff countered that the language of the instruction wasn’t specifically challenged at trial and further that the defendant was effectively challenging the amount of damages without actually affording the trial court the opportunity to reduce them. The appellate justices affirmed, saying even if he preserved the argument on appeal, it couldn’t prevail on its merits. 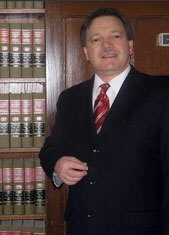 The motorcycle accident victim’s damages awards were upheld.